Junk Food Jones: Trick or Treat! I like to eat my seasonal candy in season. I mean, who wants candy corn on the 4th of July? (Some would say that sentence should end after the word “corn” but I strongly disagree.) Who wants a chocolate bunny on Thanksgiving? That would just be weird. For a junk food junky, that is. 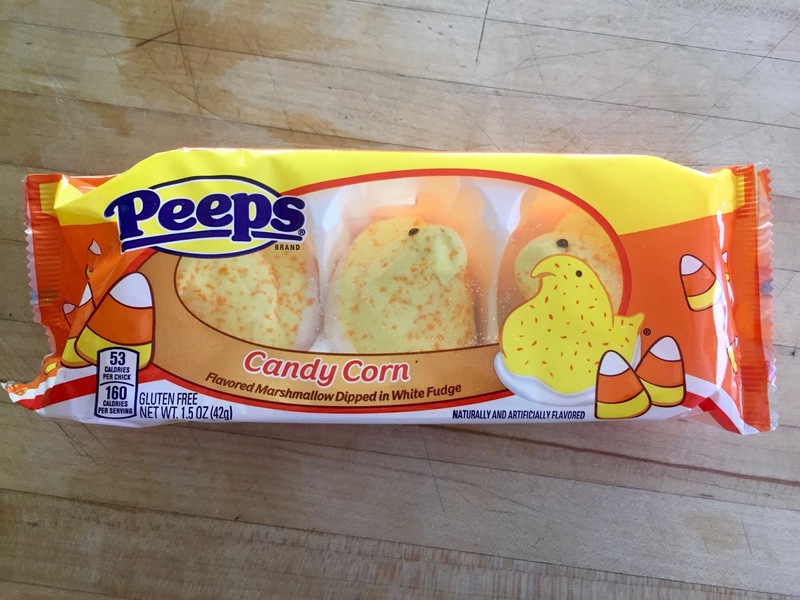 Not so much if you’re in the candy corn and chocolate bunny business. 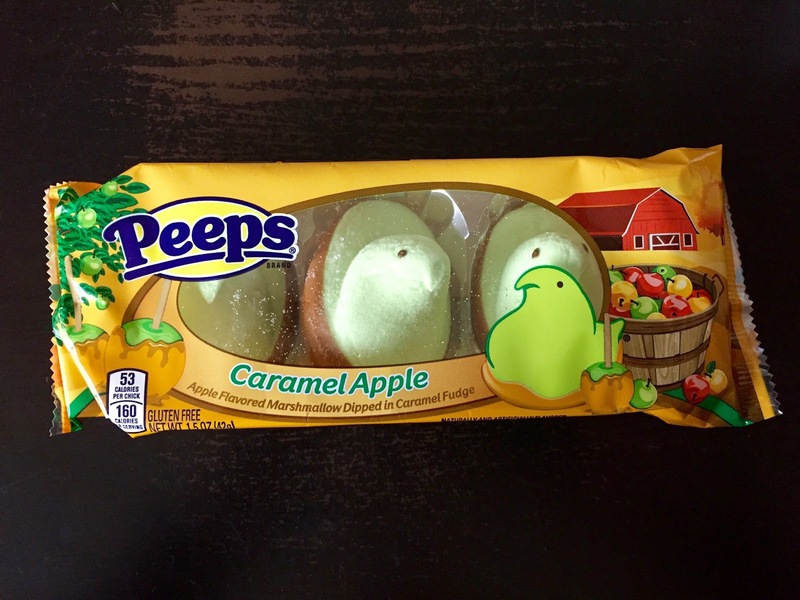 If you’re those guys – you know, "Big Candy" – then it wouldn’t be weird, it would be diversification. But what if you’ve got a brand completely associated with a specific holiday? How do you keep the brand recognition that will entice consumers while still making it appropriate for the new holiday to which you’re attempting to branch out? A couple of companies found themselves a way: Halloween costumes. Yep. 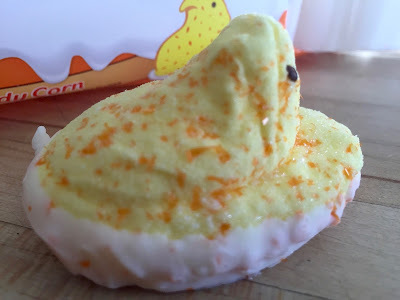 Essentially what the Peeps people and the Cadbury Egg company have done is take those iconic Easter concoctions and put them in Halloween costumes. 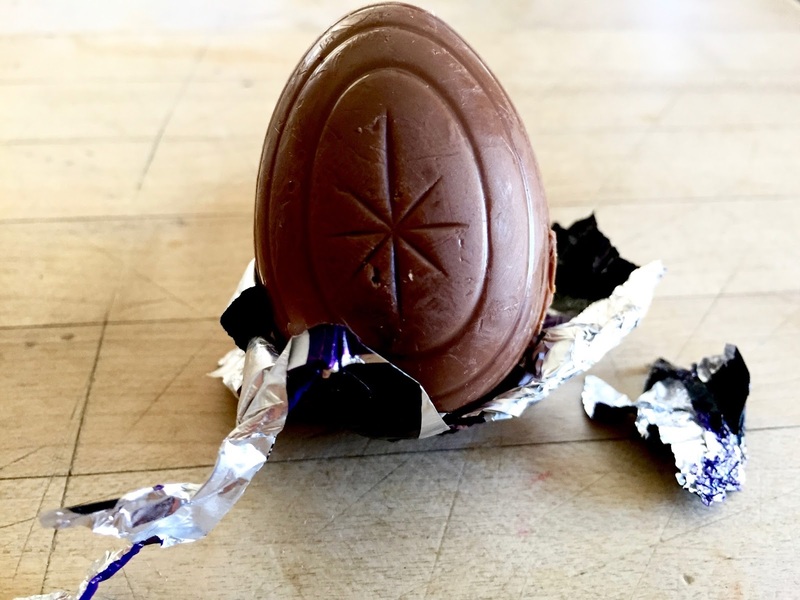 It’s exactly what you get at Easter; looks the same, tastes the same. 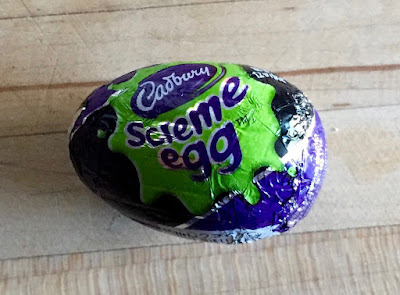 The only difference is they’ve injected some green dye into the candy “yolk” and wrapped the whole thing in bright foil that says “Screme Egg”. 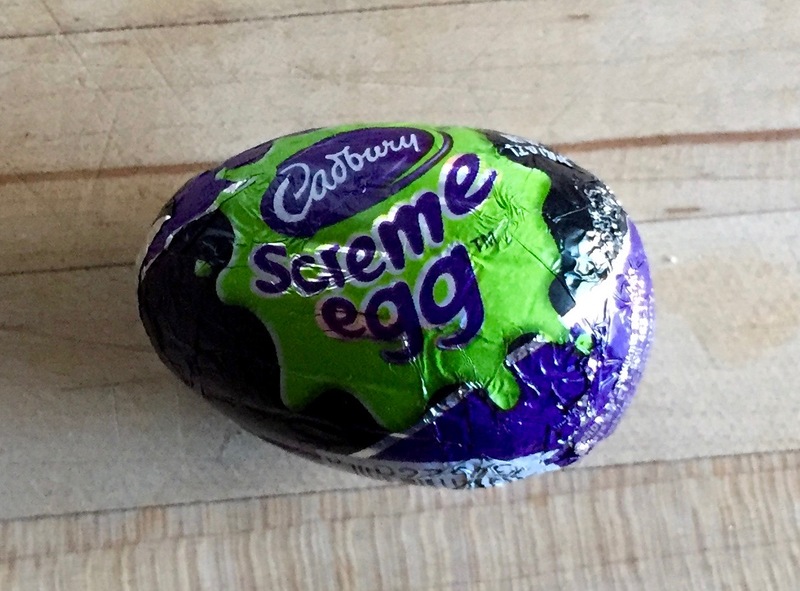 Screme, get it? Yeah, you get it. Seems like a blatant money grab. 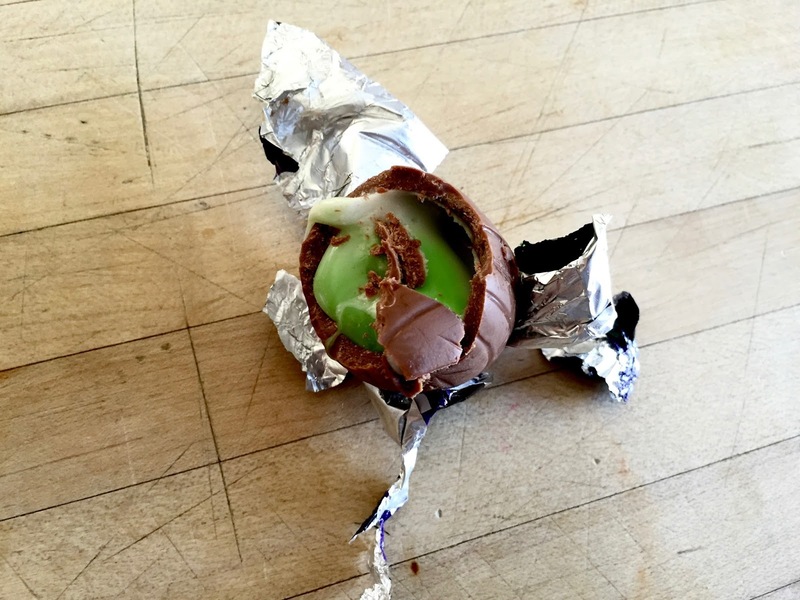 Still, the fact that it tastes just like a regular Cadbury Egg is probably a good thing for Cadbury Egg fans. Now you can get them twice as many times a year. Peeps went at least a little farther. 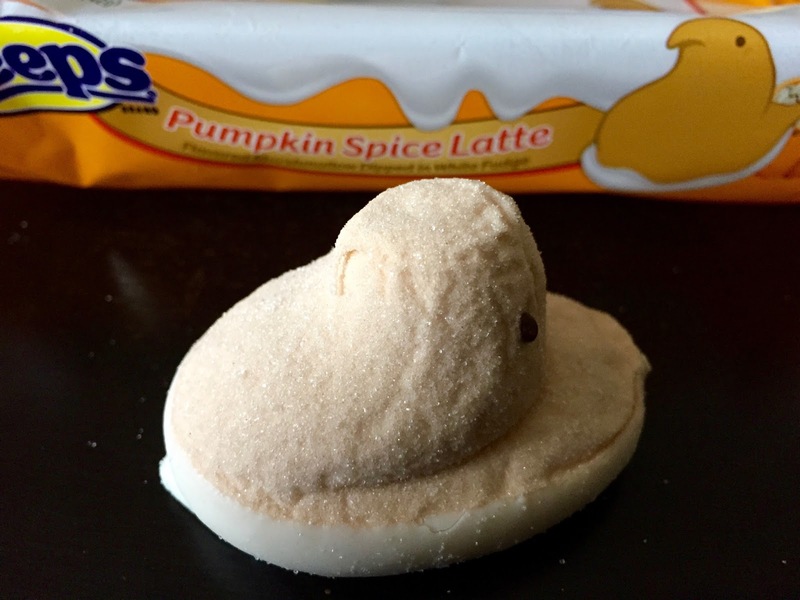 I mean, the cute little chick shape seems extremely odd at Halloween-time but at least they bothered to add some new fall flavors. 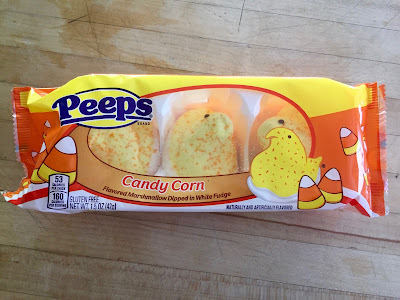 Candy corn tastes a lot like candy corn. Pumpkin spice is both kind of spicy and kind of pumpkiny. 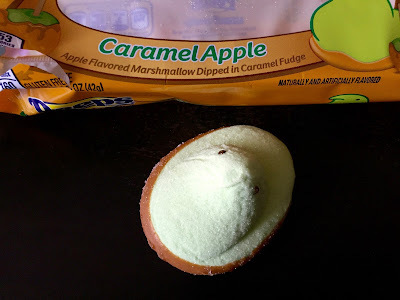 And the caramel apple flavor has the tartness of a green apple and the buttery sweetness of caramel. So now you have a chance to enjoy a couple of your favorite Easter treats in their Halloween costumes. I’ve actually taken the concept and run with it. 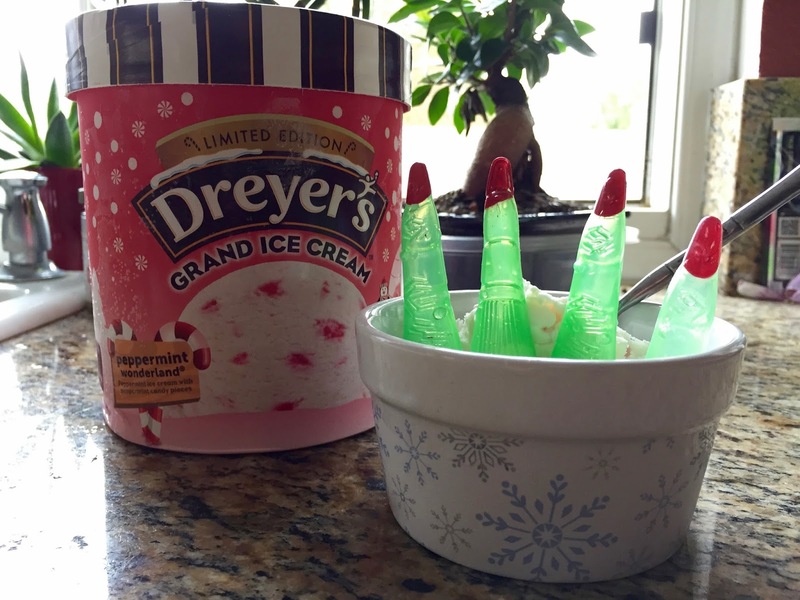 As previously discussed, I love peppermint ice cream at Christmas but it’s tough to find because the stuff sells out fast. This year Dreyers rushed the season and it showed up at my local Ralph’s in early October. 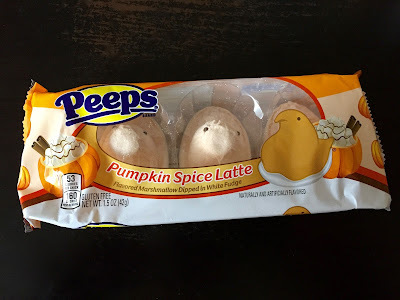 As I said, I like to eat my candy treats in season but this stuff would have been freezer burned by Thanksgiving. What to do? Well, I took a cue from Big Candy and gave my bowl of ice cream its own Halloween costume. 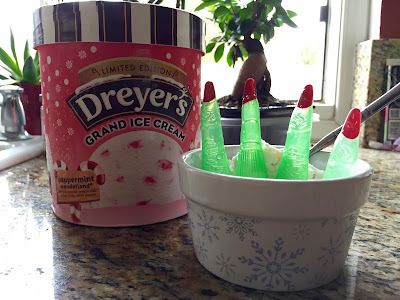 A few plastic witch fingers and now I’ve got me some Halloween Peppermint Ice Cream! It’s genius! Or stupid. Who cares? I’m eating peppermint ice cream in October, man. Don’t hate the player, hate the game.